Prior to moving to BDM, Gabrielle worked for an international law firm. Her practice encompasses a broad range of the firm’s core areas of practice. Gabrielle acts for shipowners, charterers, shippers, their insurers and P&I Clubs in relation to disputes involving charterparties, bills of lading, sale contracts and ship building contracts as well as collisions, groundings and salvage. Whilst predominantly a litigator, Gabrielle also advises on non-contentious drafting issues. Gabrielle regularly represents clients in the English Courts, London arbitrations and litigation internationally. 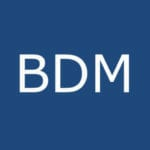 She was involved in BDM Law’s first case in the English Court of Appeal.